When it comes to making a house a home, it often comes down to the details—those handmade pieces and custom accessories that add a sense of personality and thoughtful care to a space. The age-old practice of making home goods—whether it’s furniture, sculpture, glass or the like—is still very much alive and well among us thanks to a community teeming with artisans right here in Central Virginia. Men and women throughout the region are serving the maker’s lifestyle proudly, putting their classically based creativity to good use with modern techniques and tools that reflect and build upon an Old-World era of expertise. 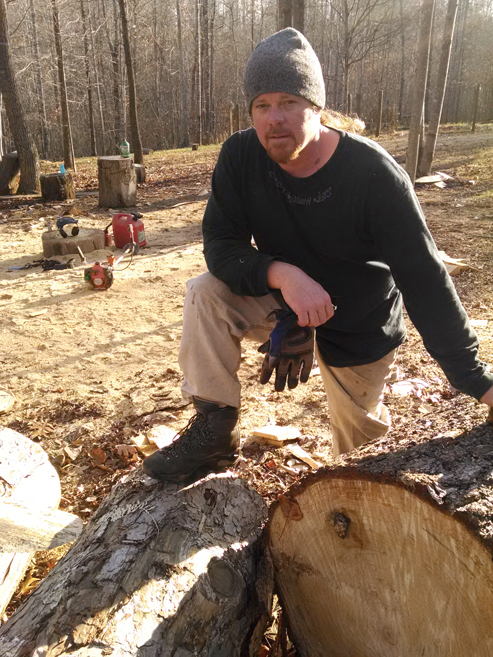 For wood carver Mark Poleski, being an artisan is truly a full-time job, born from a lifelong love for art of all mediums. Happily, this artisan made his wishes come true, and he now works at the helm of his own wood-carving studio, Sleepy Hollow Art. Drawing on his 20 years of experience as a residential contractor, Poleski offers homeowners custom wood and rockwork, including eagle sculptures, wooden three-dimensional marine portraits, carved pumpkins and—what seems to be his signature motif—wood bear sculptures of all shapes and sizes. Poleski’s art officially took off thanks to a serendipitous project he made for his sister—a large, hand-carved bear that ended up just outside of her Amherst County lawn and garden store. Once customers caught on to the piece, it became something of a small-town sensation and garnered enough interest to give Poleski’s burgeoning business the boost it needed. “I started to make other animals, and my wife Dana and I decided to officially form our creative venture, Sleepy Hollow Art. We attended the Garlic Festival in Amherst later that year, and started to become better known locally and online,” he explains. 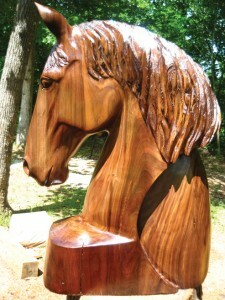 These days, you’ll find Poleski in his studio crafting wood sculptures for clients across the country. He’s mastered refined and rustic styles, not to mention nearly everything else in between. The proof is in his extensive portfolio of work. As with any artisanal adventure, the Poleskis must constantly work to bring awareness to the craft. The technological advancement of our age makes this type of marketing much easier, perhaps, than it did for Poleski’s classic predecessors, but the same principles are still in play—to make and create something timeless and unique, and to share the work with others through word of mouth. Jonathan Baker, a professional glass blower living in Lynchburg, got his own start as a modern-day artisan while attending classes at Elon University. While there, he learned the traditional art of glassblowing, specifically having the opportunity to hone his relationship with a vat of molten glass and the process of turning the raw material into something beautiful. 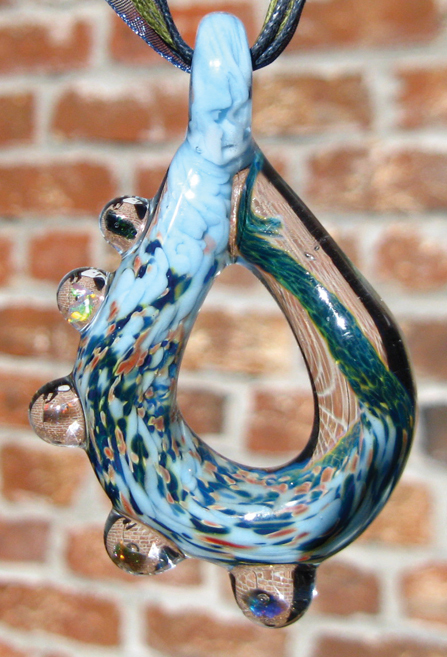 Later, Baker took his skills to the next level, learning about lampworking, which involves the use of a torch or lamp to melt the glass and, specifically, is the form of glass blowing that Baker does now. From there, he took a brief introductory course in Durham, and then embarked on the final leg of his journey—teaching himself the rest of the basics, while adding his own unique touch throughout the process. The shop on 5th Street also serves as Baker’s studio, where he creates his glass projects. As far as he knows, he says, it’s the only lampworking glass studio in Central Virginia, and visitors are always welcome to watch him work. 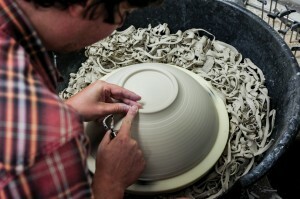 As a businessman and artisan, Baker is forever thinking, analyzing and dreaming of new ways to approach his work and to expand on his technique, so that “stagnant” never becomes a part of his routine. 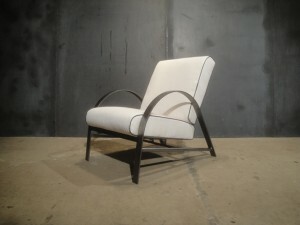 Another artisan who is anything but stagnant (as well as a nearby 5th Street neighbor) is Justin Rice. 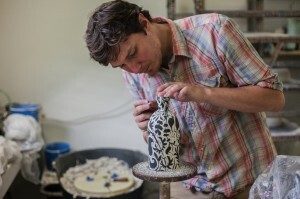 Rice has made quite a name for himself as one part of the three-person team at downtown Lynchburg’s Oxide Pottery. His pieces are instantly recognizable to those who see them, thanks to his telltale comic book-inspired graphic art and clay printing techniques. The rest, as they say, was history. After moving to Richmond, Rice teamed up with Chatham Monk and her father, Joe, and Chatham and Justin eventually converted their garage into a ceramics studio. Armed with a collection of used equipment—and by sacrificing most nights and weekends to their art—the team, in Rice’s words, found their way with clay. 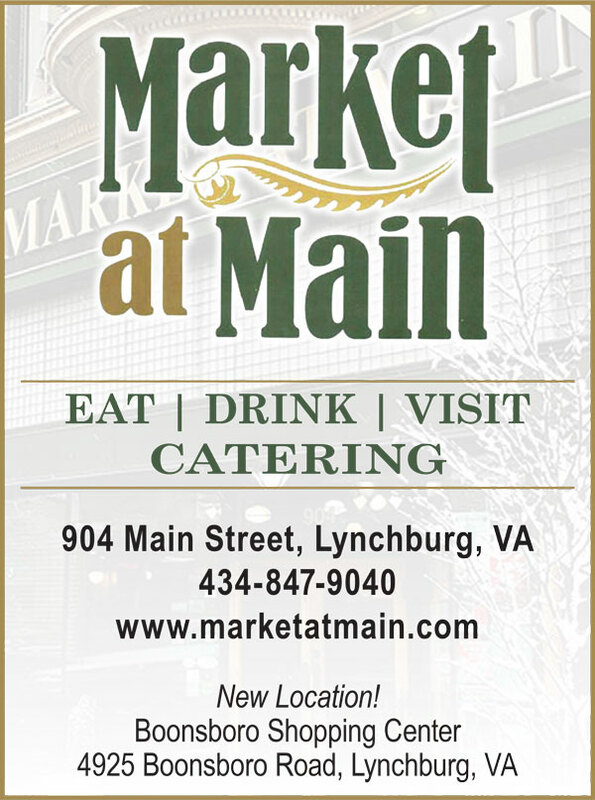 Eventually, the trio made the transition to Lynchburg and opened up shop—literally—in the fall of 2009 in a space on Main Street that Joe Monk had been renovating in fits and spurts for years. 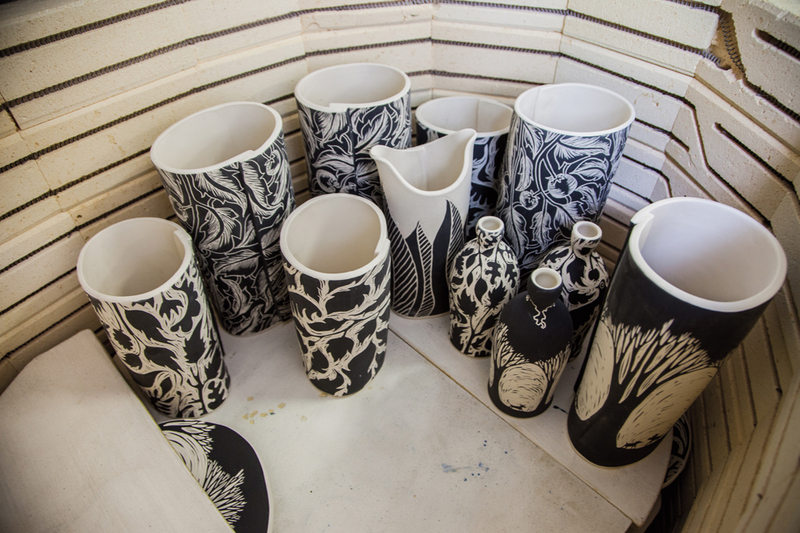 “With a lot of hard work, the day jobs gave way to a full-time studio practice, and Oxide Pottery came to life. I now have my hands in clay eight days a week,” Rice jokes. Between downtown foot traffic and their involvement in the museum and gallery wholesale market, Rice along with Chatham and Joe Monk have successfully “made it” in terms of building their following. Visitors to the shop on Main Street are met with a wide variety of fired clay pieces, from mugs and dishes, to heirloom-worthy platters and vases. This includes Rice’s signature printed clay pieces, too, many of which are meant to serve just as they are—decorative works of art to be hung, admired and treasured. 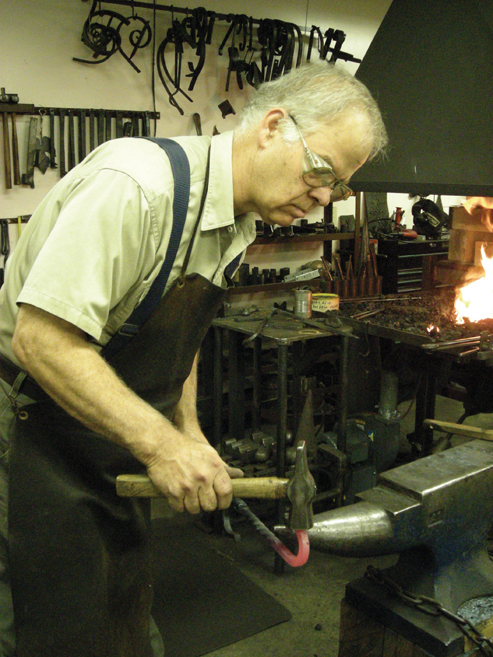 Despite the fact that present-day artisans are proven aplenty within the region, it may still come as a surprise to know that the near-ancient art of blacksmithing is flourishing in our midst. One man responsible for affirming its presence in the area is Story and Forge owner and professional blacksmith David Tucciarone. Tucciarone got his start in the art in the early 1980s, as part of a shipyard apprentice program based in Norfolk. While operating there, he learned the steel fitter trade in tandem with his training at a shipyard blacksmith shop. After layoffs forced him away from the shipyard, Tucciarone came up with a new plan. 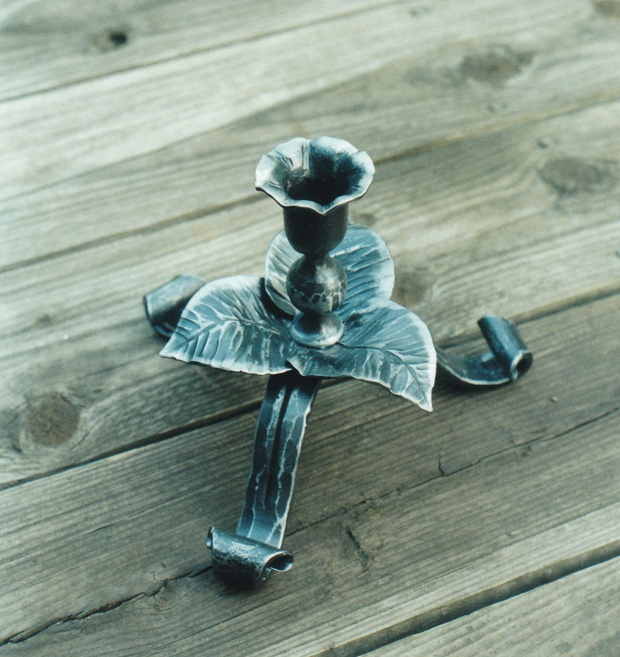 With his process laid out thanks to the opportune illness, Tucciarone “forged ahead” and ended up at John C. Campbell Folk School for his first blacksmithing class in 1986. Next came a series of blacksmithing group memberships and more classes, all culminating in a trade well learned and fully appreciated. Since the early 1990s, that “work” includes a series of orders from clients who come to him with their own visions of custom ironwork for both the inside and outside of their homes—anything from fireplace tools and stands and garden trellises, to sculptural wall art, curtain draw backs and metal candelabras. 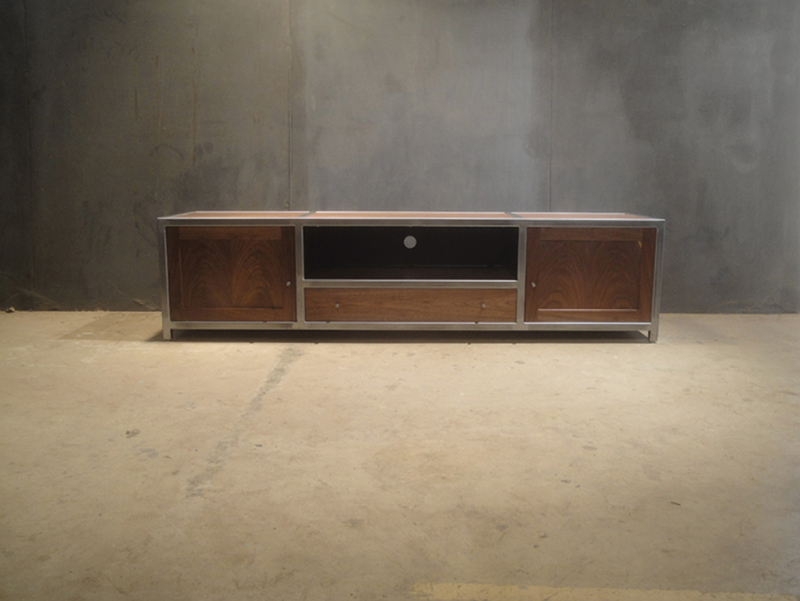 Thomas Filiaggi, the builder and designer behind vintage and custom furniture studio Loft3F, is another modern artisan who blurs the lines between his work and his free time. Following graduation from Virginia Tech in 2006, Filiaggi made the transition to Lynchburg, where he found work within Georgia-Pacific’s IT department. Faced with the prospect of filling his new home, a loft in Riverviews Artspace, Filiaggi found himself wandering through downtown furniture shops in search of pieces to fill the empty square footage. 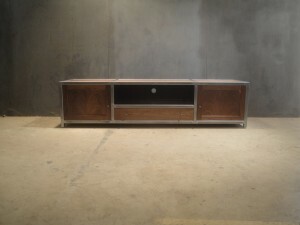 “I bought a lot of vintage furniture pieces, many of which needed some work. I did a lot of refinishing and repurposing, and since I was a website developer, I thought, ‘Why not create a webpage and start selling some of this stuff?’” Filiaggi explains. Thanks to the growing demand for mid-century modern furniture, and pieces that fit within the on-trend industrial look, Filiaggi’s website and brand took off, eventually giving way to custom-made tables, chairs, nightstands, buffets, cabinets and more built out of wood and steel. Those sold, too, and so Loft3F was formally established as a business. “I was working out of an old church on Cabell Street that my father and I bought (and are still in the process of restoring), and that became really cramped, so I rented some shop space on Kemper Street, quit my IT job and went for it,” he says. Filiaggi explains that he took on the lifestyle of an “artisan” rather organically, what with no formal training in the process of furniture building. “I was an IT guy, and so the only thing I did with my hands was peck at a keyboard. Restoring the church and refinishing furniture was just something to do to escape from the mundaneness of the corporate world. Once I started creating things though, I knew that was what I wanted to do full-time,” he says. Today, Filiaggi’s business is more than a full-time job, offering him both a way of life and a way to share his creative talent with eager clients and Loft3F supporters. Whether by quill or by keyboard, there’s little doubt that artisans both past and present know exactly how he feels.